Scientists recently studying a collection of ancient shells were surprised to find not only no evidence of evolution in the specimens, but also clear evidence of protein-rich materials that normally cannot survive millions of years. According to a recent article published in the European Association of Geochemistry’s Geochemical Perspective Letters, researchers analyzed shells found along the coast of Maryland. 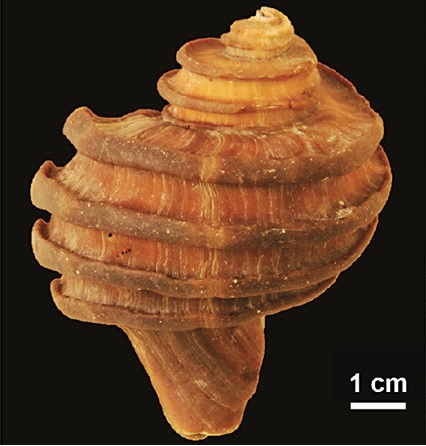 The shells, which belong to the genus Ecphora and are believed to be several million years old, were subjected to a variety of testing techniques. The scientists’ research yielded some surprising findings. Despite the purported ancient ages of the shells, the specimens were rich with well-preserved proteins that had somehow escaped decay. The researchers described this discovery as “remarkable,” because proteins usually cannot survive long eons of time without decomposing. Furthermore, the scientists noted that the old shells had compositions “very similar” to that of modern creatures. In other words, the invertebrates have experienced nearly no evolution. However, other scientists question the researchers’ claims that the proteins were somehow preserved for nearly 20 million years. Dr. Jay Wile, a popular science textbook author with a Ph.D. in Nuclear Chemistry, says proteins simply cannot survive that long. Many other similar discoveries seem to fly in the face of the old-earth, evolutionary narrative. As previously reported, Canadian scientists were shocked in 2013 when they found well-preserved dinosaur skin on a fossil that they believed to be at least 60 million years old. Then, last year, a biologist was fired from California State University after he discovered soft tissue on a Triceratops fossil. Wile believes the existence of proteins and soft tissues in these various specimens lends credibility to the belief that the fossils are not millions of years old after all.